I’ve included three different sizes of the same puzzle. 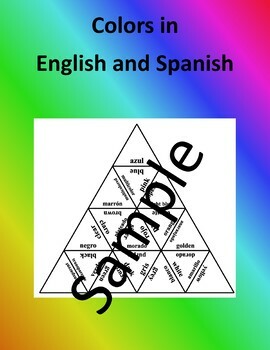 The smaller size is only two pages and is great if you are going to print of individual copies for students to practice in class or at home. The larger size requires 6 pieces of paper and quite a bit of space to solve – fun for centers and group work. The extra-large size requires 16 pieces of paper. Cut out the puzzle pieces (or even better if your students do it themselves) and students are to solve the puzzle so that it matches the solution provided. If your students are going to cut out the pieces then no prep is needed – the puzzle is not in order. I’ve been using these puzzles for years with great success! I recommend printing the puzzles on colourful paper and laminating them. This way you only have to cut them out once and they will last for years! My students love doing these types of puzzles. This product can also be used as a perfect revision of the school work to do at home. All answers can be easily checked thanks to the included solution to the puzzle or questions and answers shown in a table. Thank you for checking my resources.